Welcome to the next episode of my Shawl Design for Everybody series! Today’s topic in our shawl design course are rhomboids (parallelograms) and rectangles with triangle ends. The start of a rectangular shawl (stole) with triangle ends. This shawl shape is achieved by combining square shawls worked from tip to tip with a rectangle in between the increases and decreases. We have already learned – in the episode Square Shawls Worked Diagonally (Tip to Tip) – that working a square shawl diagonally means starting at one tip, increasing to a certain size and repeating the reverse process for the other half of the shawl as shown in the figure below. Work straight until shawl is of desired length. Work decrease rows until 3 stitches are left, then bind off. 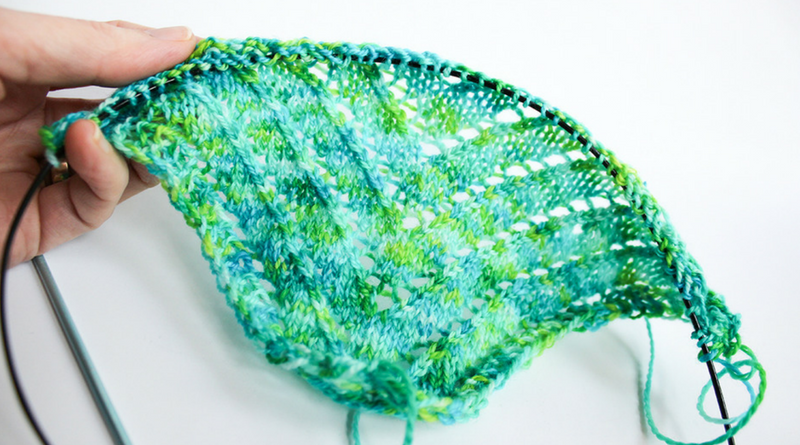 Repeat the last two rows until shawl is of desired length (minus the triangle at the end). Parallelograms are constructed by combining triangles and rectangles, too – the only difference is the placing of the elements. 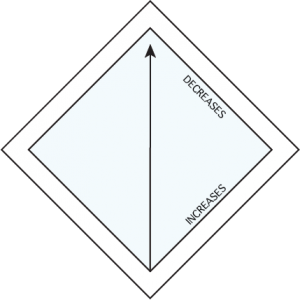 So for instance, you can combine two asymmetrical triangles with a rectangle or square, like shown above. 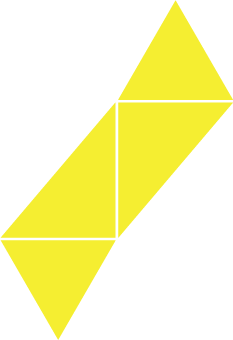 … or the fancy variant: two symmetrical and two asymmetrical triangles like shown below. This construction method has been used in the famous Clapotis pattern. Parallelogram construction in shawl design: the Clapotis way. No pattern templates are given in this case as you can simply choose one of the four construction methods above and follow the pattern templates given for the single elements. Combine them freely to create your own shawl design patterns, and let me know how it goes by leaving a comment below! I am trying to knit the rectangular shawl with triangle ends and am following your template. 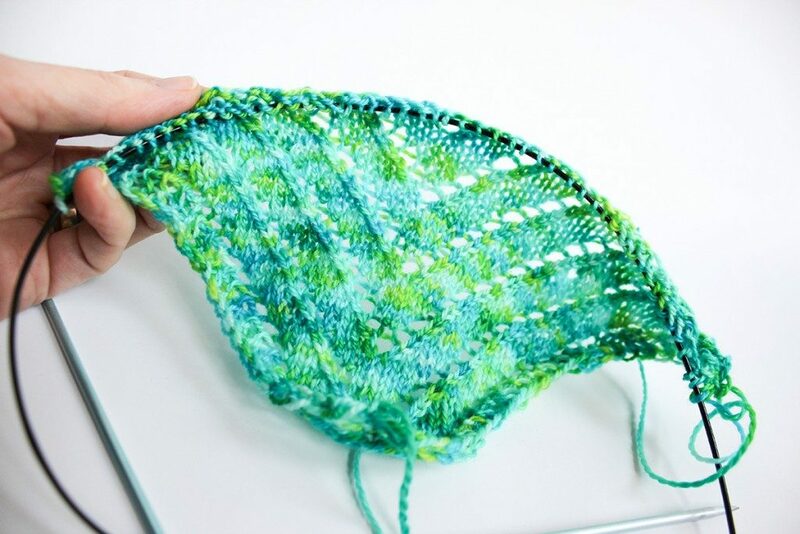 I would however like to make the green shawl pictured and I don’t see the pattern. Please let me know where I can find the pattern? The pattern is called Adjustable Greenie and can be found in the shop.